Divided Multitude comes from Norway, specifically the town of Brekstad, South-Trondelag. This burg is on the same latitude as Iceland. Damn, I'll bet its cold there, almost all year. 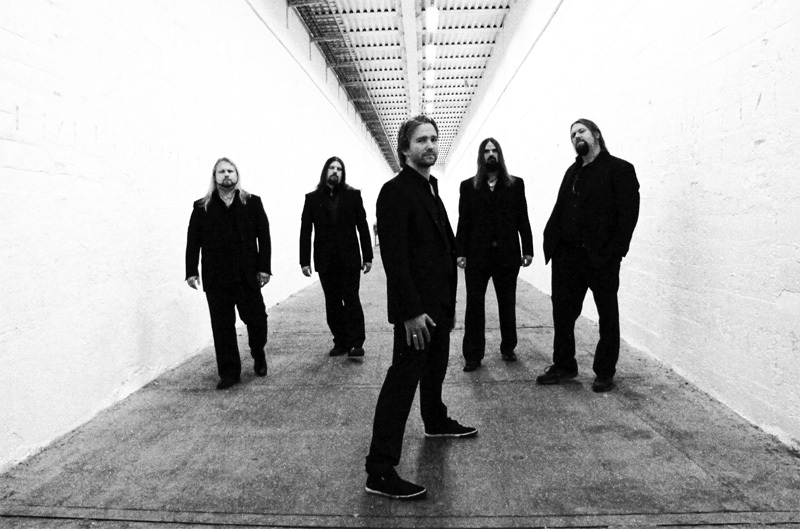 This may account for the heaviness of DM's progressive power metal. They need to get the knobs to 11 to turn up the heat. Divided Multitude:: black and white. Feed On Your Misery is their fourth album, the second in three years after a lengthy eight year absent. To say that the album is juggernaut of heavier progressive power metal is not understatement. But it doesn't border on extreme metal thanks to clear melodies and Eskild Kloften's colorful synthesizer work. After the light Spanish guitar intro of Esperanto, Divided Multitude basically set the dial to thundering heaviness and drives over you like fully loaded big rig. The fact that you don't get much of a respite or the simple fact that it all seems to be heavy may be the singular dilemma with Feed On Your Misery. Sure Seconds and Transparent have the moments of subtlety, but What I See and Scars are likely the only songs here that turns that knob down a tiny bit, being more heavier melodic metal. And again Kloften's keyboards often take the edge of, but only in parts. Nevertheless, Feed On Your Misery is probably still best described as a heavy and lumbering piece music like bull in a china shop. Recommended if you like Nevermore crushing Dream Theater and leaving only Jordan Rudess standing to play in the band. 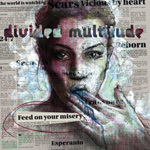 Divided Multitude's Feed On Your Misery is juggernaut of heavier progressive power metal rumbling through your speakers and making mush of your brain with mallet.